Leather look executive armchair with stitching detail. Stylish chrome base and durable nylon armrests. 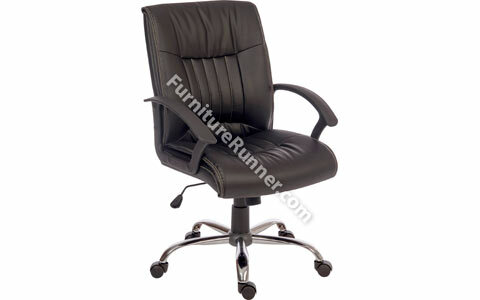 Features a gas lift seat height adjustment a reclining function with tilt tension.